Just like the sun, the tides and Twitter backlash, Fox News is predictable. 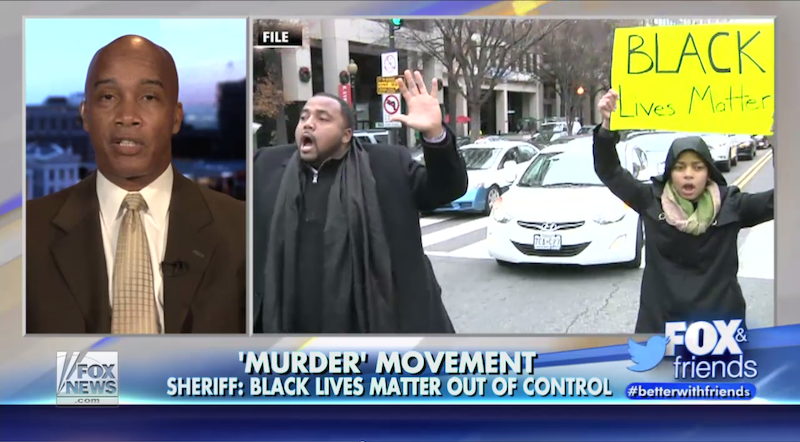 Robert Ailes’ gang of fear-mongering madmen is doing exactly what we all figured they would do and are running all the way down the field with their grand “The Black Lives Matter Movement Is a Hate Group” narrative—which was born, bred and multiplied within the walls of their studios. Elisabeth Hasselbeck, who may or may not also be a hate group, pondered out loud on live television why Black Lives Matter hasn’t yet been classified as a hate group. To be clear, nobody was saying or wondering this before she opened her mouth on Monday. And now, in true Fox News form, this non-story has spread like wildfire. Again, no one was or is asking this question but Fox News—just like no one was particularly concerned with Santa Clause’s race or what items people who use food stamps choose for themselves. But here we are. And the Fox News machine works once again.